In 2140, the global water level has risen over ten meters. Coastlines around the world are swept under in "pulses" of rising water and populations counting in the millions are forced to leave everything and search for higher ground. Lower New York is mostly uninhabitable, except for the old skyscrapers, the first few stories underwater, that have come to resemble Venice. Meanwhile, north of Central Park, "super scrapers" house the super rich. At the MetLife building in Manhattan, a ragtag cast of co-op inhabitants are forced to cooperate to save their building and perhaps the city. That's the premise for New York 2140, a science fiction (or perhaps "climate fiction") piece by Kim Stanley Robinson. I picked it up, to be honest, because The Verge, a technology website, recommended it. It seems that I've been on the receiving end of book suggestions lately, and so far it's been great! It's a nice read, but I was a little surprised by what felt to me like a lack of consistency in some of the narratives. Not all of the characters seemed to be acting in a logical way and some of the story choices felt contrived. For example, much of the story revolves around the mysterious disappearance of two young programmers, who had been working on some kind of stock market fix that could end inequality and restore fairness to the economic system. The exact nature of their disappearance is duly explained, but I never understood what it had to do with the rest of the story. A large scale conspiracy is behind most of the events, but it isn't entirely clear how. And most of the conspirators are acting behind the scenes and only mentioned by name in dialogue. The reader is left to imagine the villains based on very limited details. 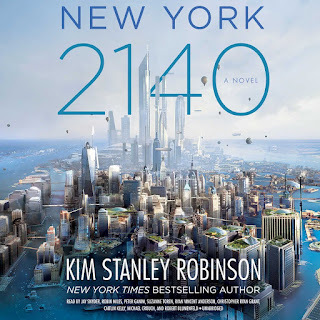 Luckily, the conspiracy part isn't that important to enjoying New York 2140. Characters like Inspector Gen and Franklin are entertaining and compelling individuals, whose chapters were clear highlights. The dialogue is consistently great - it has wit, charm and keeps the pace wonderfully - and the action is typically at its best when multiple main characters are simultaneously involved. As the novel progresses, this becomes more common, so expect to find a smoother ride after the first half. As with any book set in New York, the city itself is a towering main character. 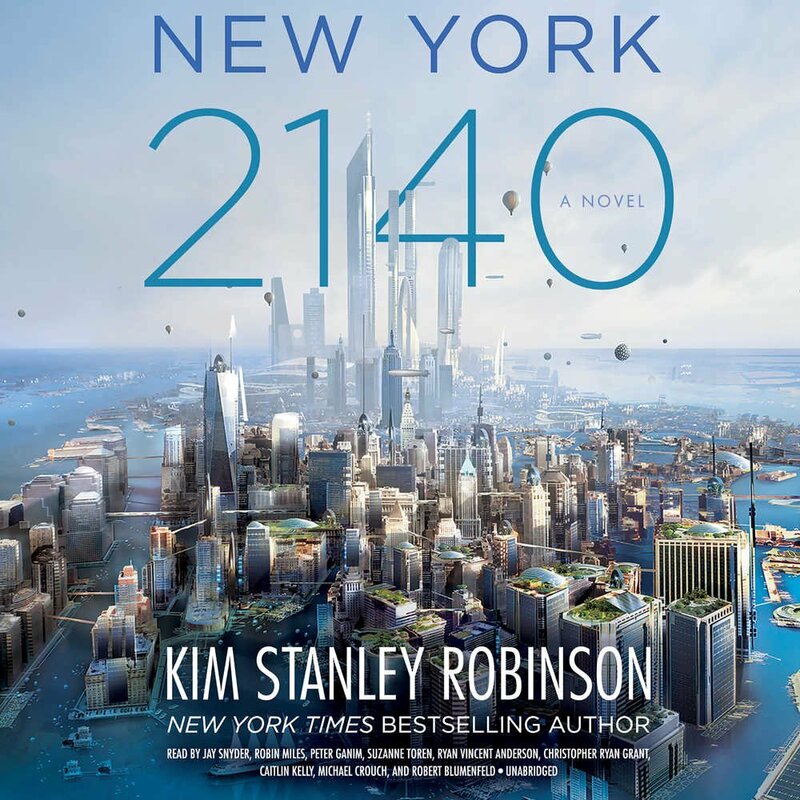 New York in 2140 is a wonderful amalgamation of Venice, left-wing utopia and modern day New York. The city is in no way a passive player, it seems to act with its own will - it is more than just a backdrop or moody setting. That makes it all the more unfortunate that the author's personal prejudices drive the second half of the action. Robsinson gives his left-wing ideologies a bit too much space, when New York was the real star all along.